If you use the Alt+W (Maximize Viewport toggle) as much as I do, you’ll know that it’s the greatest keyboard shortcut for Max. You’ll also find that it’s very frustrating when you have an Editable Mesh selected. 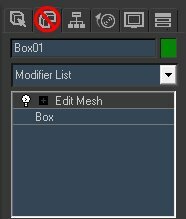 This scenario happens often because I like to select my mesh in one view, then toggle viewports and hit Z so I don’t have to “find” the mesh again in the new view. This was bugging me for a long time, and took me a while to figure out what the deal was. Alt+W always works unless you have an Editable Mesh selected and you have the Modify tab selected (which is the tab that I have selected most of the time when working in max). If you have any other tab selected (Create, Hierarchy, Motion, Display, Utilities) it works fine. So if you are wanting to quickly toggle your viewport with a Mesh selected, just remember to select a different tab before you Alt+W.